Is your home’s garage door making squeaking noises as it operates? Is it stuck in its place or is it out of place? Did it sustain any damage because the children played with their soccer ball too close to it? 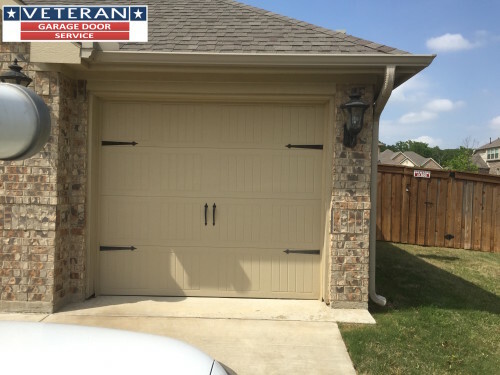 Don’t you worry about it – call Veteran company and we will provide you with garage door repair solutions in Southlake Tx, anytime, day or night. At Veteran we’re always available for our customers. Be it day or night, during the week or the weekend, whenever you find yourself in need of our services – we will be ready to assist – no extra fees charged! You can never predict when you’ll need garage door repair services in Southlake TX, but you sure can count on us to be there whenever you do. We’re proud to be of assistance to the whole community of the Dallas Fort Worth Metro area, with high quality garage door services, for any malfunction they may deal with, so their garage door can run smoothly once again and provide them with the safety they want to feel at their home. It is not only that we’re available for the local community any time of day and any time of the week – we also offer our expert solutions for fair prices and always with a smile. When you need a garage door repair in Southlake TX, you don’t have to worry about the type of repair required as our professional technicians are prepared to handle pretty much everything. Has your door gotten off its tracks? No problem. Did it get bent or have its springs got worn out? No problem. Whatever it is, our professionals have got you covered. On top of our garage door repair services, we offer any service that pertains to your garage door’s proper operation. From the slightest repair such as replacing your opener to replacing your entire door with a new one from our wide collection – we do it all.